WeWork is not only a major player in the Coworking industry, they are one of the biggest companies in the world. If you operate within a major metropolitan area then chances are you probably have one as your competition. 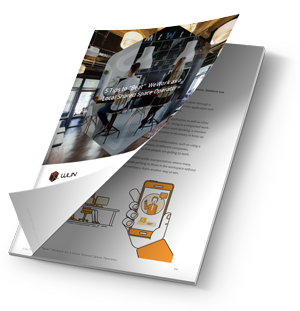 This ebook will cover 5 practices you can incorporate into your workspace strategy to “beat” WeWork and continue your growth as a Coworking operator. We’ve conducted our research and anonymously reached out to various local operators who have experience successfully competeing against WeWork. We will show you the five most important steps they’ve covered to keep up with the expansion of their competitor. By following the advice outlined here, you can take the initiative to keep your space a step ahead.